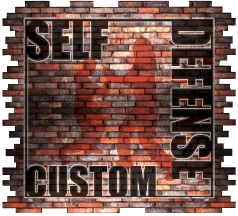 Customize Your Self Defense! > > > Register for our $5 Self Defense Series>>> Classes are most Wednesdays from 7-8:30pm >>> JOIN NOW!! >>> Krav Maga Combined with the Best of Martial Arts >>> Women's self-defense Seminar - TBD - ONLY $5 - Call to register or register online! >>> LIVE ONLINE Classes Coming Soon!! >>> Call to Schedule Private or group Classes >>> CALL NOW!! At Custom Self Defense (CSD) & Krav Maga Wisconsin, our instructors are constantly updating their knowledge with some of the best instructors in the world to bring you the best instruction possible in these changing times. We pride ourselves on customizing the way You defend. *We teach skills that can be used as a stand alone art, or that can be added and integrated into your current Martial Arts or Self Defense System. Our intense hands on training is geared towards Real Life Self Defense, that you can use on the street. You are here to learn, and we are here to help you succeed. Our Martial Arts Instruction is all Reality Based. We pride ourselves on constant evolution to guarantee your skills do not get stale. In our Martial Arts programs you will learn usable defense techniques right away, in real life scenarios. We are here to teach you how to defend, counter, and optimize your knowledge so you can place your attacker where 'you' want him, for the best defense possible. Learn how to train your mind and body to work together to understand the basic principles of how people attack and how to counter and survive. Join one of our Martial Arts programs or Learn On-line NOW! At CSD & Krav Maga Wisconsin you can rely on the experts to help you learn how to defend yourself and your loved ones quickly and efficiently. Our experienced Martial Arts instructors have been training in the fighting arts for 20 + years, so you know you can count on us to provide the very best training money can buy. Our Martial Arts and Street Defense classes will provide you with excellent physical conditioning and the skills you need to defend yourself from many types of attacks, including weapons like gun, knife, stick and more, as well as help you develop poise, speed, self-confidence, humility, and self-control. Our Style of Street Defense tactics is a proven method of defense against all forms of attack, so don't hesitate to stop by today and learn the techniques that may one day save your life. We are now offering on-line learning as well. Learn live on-line (coming soon), or watch pre-recorded lessons for FREE, or at a nominal fee. Soon, you will be able to schedule an on-line private lesson. 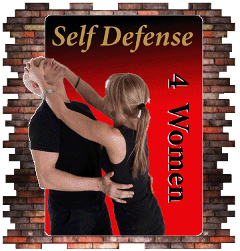 Our Women's Self-Defense Boot Camps are geared specifically towards women's defensive needs. Women’s STREETSAFE is an evolved and effective system that reinvents and revolutionizes self- protection for women. A fusion of awareness, prevention, and physical self-protection techniques, this system offers all women ages 12 and up, an easy and fun way to exponentially improve their personal security and to better protect their children. Women’s STREETSAFE is a reality based system that has been designed to be specific and relevant to women’s individual daily lives. Keep your eyes open for this course to be offered as an on-line course. CSD & Krav Maga Wisconsin's classes are based off of the Israeli fighting system of Krav Maga with a few twists. Again reality based, it takes Krav Maga and adds to it a unique evolution within the style. Instructor Wallace, the founder of CSD, flows in Bruce Lee's ideologies and takes what is good and discarded the rest, while adding in new skills and techniques to improve the art. Many systems are infused into our teachings, such as, Kung Fu, Jeet Kune Do, Krav Maga, and many others. This gives CSD an array of useful tools and techniques to share with out students. 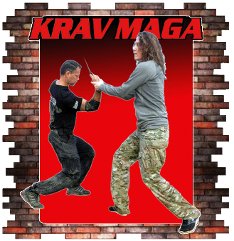 Our Reality Based Kung Fu, based on Tai Kit Kuen, is infused into our CSD Krav Maga classes. It teaches hand-to-hand fighting techniques that compliment the concepts and techniques of Krav Maga, while adding joint locks, circular movement, and many other useful fighting concepts. Instructor Wallace's style of Kung Fu originated within Grandmaster Steven G. Abbate's Tai Kit Kuen Kung Fu, and has evolved into a multifaceted evolving self defense system. We infuse many of these techniques into our CSD Krav Maga classes to increase your self defense options. Our training is both affordable and effective—you will learn real, working self-defense techniques in the very first class. If you prefer to only learn Kung Fu concepts, you may schedule a private class with the Instructor. We offer both individual and group sessions, with private lessons available upon request. Some instruction can be held at your home or office as well. Our martial arts instructors offer seminars for groups of up to 20 (or more on request) people, and we will gladly tailor the content to suit your specific needs. See our schedules for the classes or courses you are interested in and email us or call us to reserve your spot now, or to schedule a personal private class, a private on-line class, or seminar. Please contact us first before signing up for classes as we'd like to evaluate your goals to make sure the desired training is right for you.